Great starter home with covered front porch and back patio. Huge Lot! Carport with mechanic's pit and a huge garage 31' x 20'.17 = 625 Square Feet! A mechanic's dream, a wood shop or a painting studio, the possibilities are endless with all that space. The house was built with love and care in 1938 and has a lot of it's original charm including original hardwood floors! 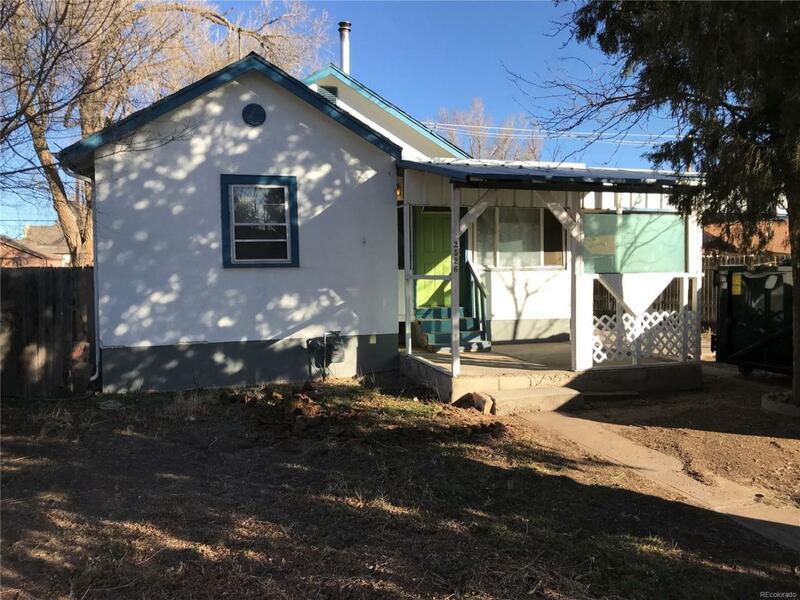 Two bedrooms and a full bath on the main level, living room has wood burning stove to keep you warm on those cold winter nights and a swamp cooler to keep you cool in the summer. Built-in stair case makes easy access to the attic with a trap door for lots of storage. The fully finished basement has a family room, indoor workshop with built-in cabinetry, a bedroom, and rough-in plumbing to finish off that 2nd bathroom. Upgraded water and sewer lines and a newer furnace. Gas range, refrigerator, microwave, dishwasher, washer and dryer all included.